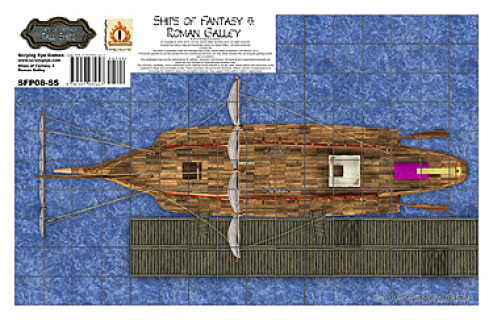 Ships of Fantasy 1: Tall Ships brings back one of our original lines by Scrying Eye Games, giving you four fantastic ships. You get four Tall Ships: a pirate ship, a ghost ship, a port dock ship and a merchant ship. Printed on 80 lb. 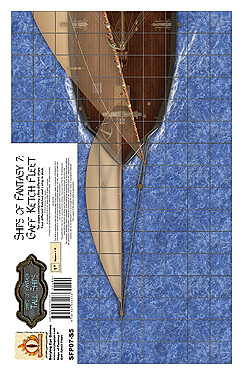 glossy card stock, you will be able to use these maps over and over again. 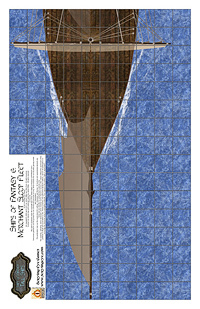 Some cutting required along edges. 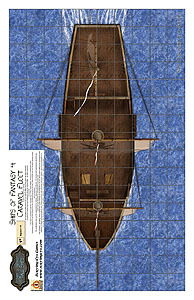 Ships of Fantasy 4: Caravel Fleet brings introduces our second Historical line. 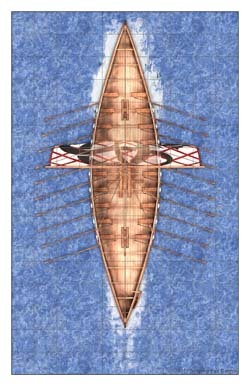 Included is five different versions of the historic Caravel, including one that is docked at port. 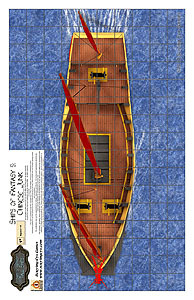 (The "in port" copy will match up with the upcoming Urban Fantasies set "Dock and Warehouse". 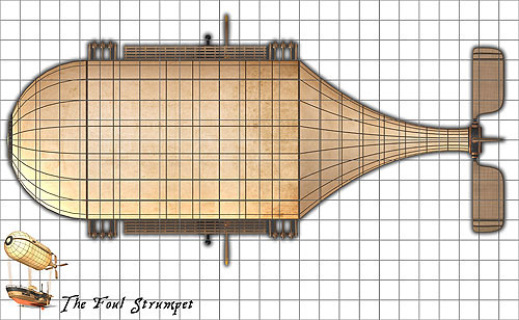 Ships of Fantasy 5: Chinese Junk introduces our third ship in our Historical line. Included is five different versions of the famed Chinese Junk, including one that is docked at port. (The "in port" copy will match up with the upcoming Urban Fantasies set "Dock and Warehouse". 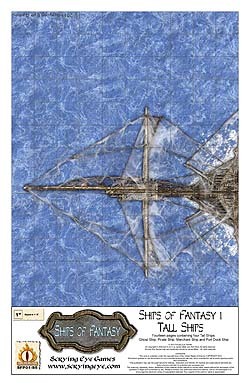 Dreams of Steam 2: The Foul Strumpet brings a steam-powered flyer to your game table. 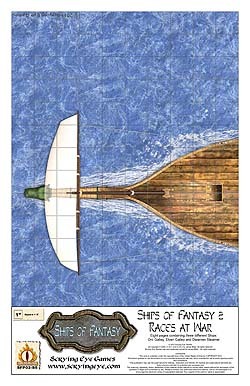 Perfect for both fantasy and steampunk, the seven sheets give you three levels for the gas bag, top deck and lower deck for a small but formidable ship of the skies. Side view of The Strumpet is on our Dreams of Steam page.